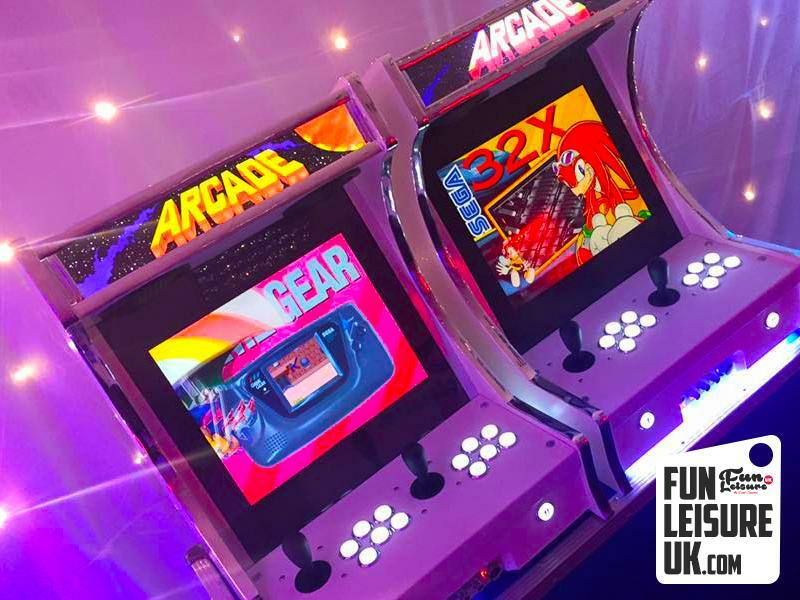 Here at Fun Leisure we have a huge variety of arcade games available for hire. Everything from the classics such as Space Invaders, Sega Rally and more, to the latest arcade games in use such as Sega Grid Racer and Time Crisis 4. It's not often you arrive at an event and see something that stands out. Not only is it great fun, but it also makes you the talking point of every party in the future. Who has arcade machine at their occasions? Not everybody. Let it be you. Above is a couple of hires's over the last couple of weeks from Popworld Chester and a trade exhibition which the arcade machines was significant interaction activity for all ages. With a choice of over 2500 games across five platforms. Perfect for many occasions and events. The arcade machine hire package has recently become very popular for corporate and fun days. Businesses from London to Glasgow have used us to improve work performance of its staff, by hiring these out across their lunch breaks. We wouldn't mind working for a company who did that! Again, we have a large warehouse, 300+ products (goodies) at our disposal. 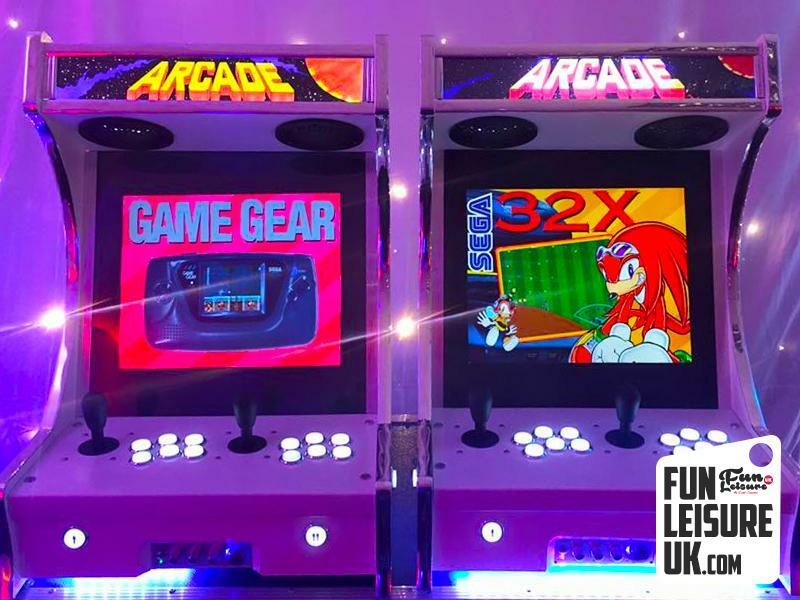 Along with receiving your nostalgic gaming fix, we also have these products available for you to enjoy: Air Hockey Machine Hire, Giant Pie In Face Hire and Strike A Light Batak Game Hire. Feel free to enquire or explore more from our interactive games section.